Brewing beer is a magical combination of science and creativity. When you understand the science and then unleash your creativity, you can come up with some delightful sudsy magic. 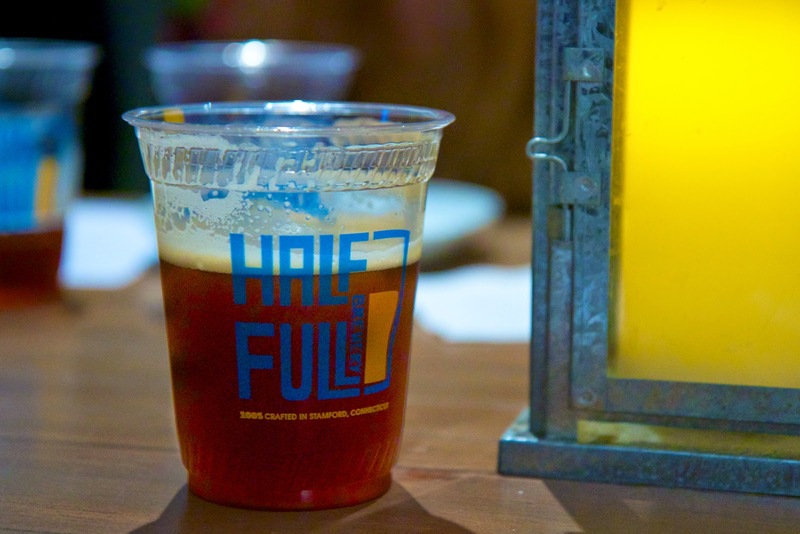 Half Full Brewery in Stamford celebrates that kind of magic at its rare beer nights. 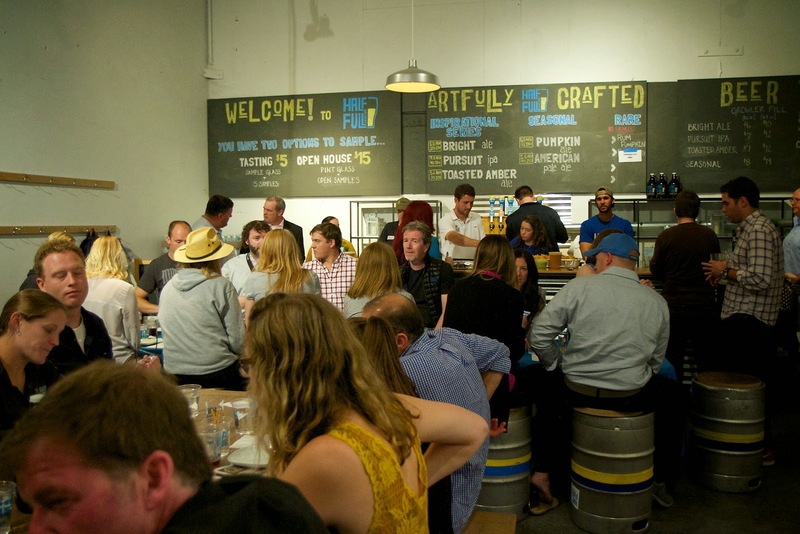 This event is when the beer-loving public can sample limited editions of creative brews. The thing is, if you fall in love with one of these beers you may get your heartbroken. Since they are only small batch, you may never be able to taste them again. 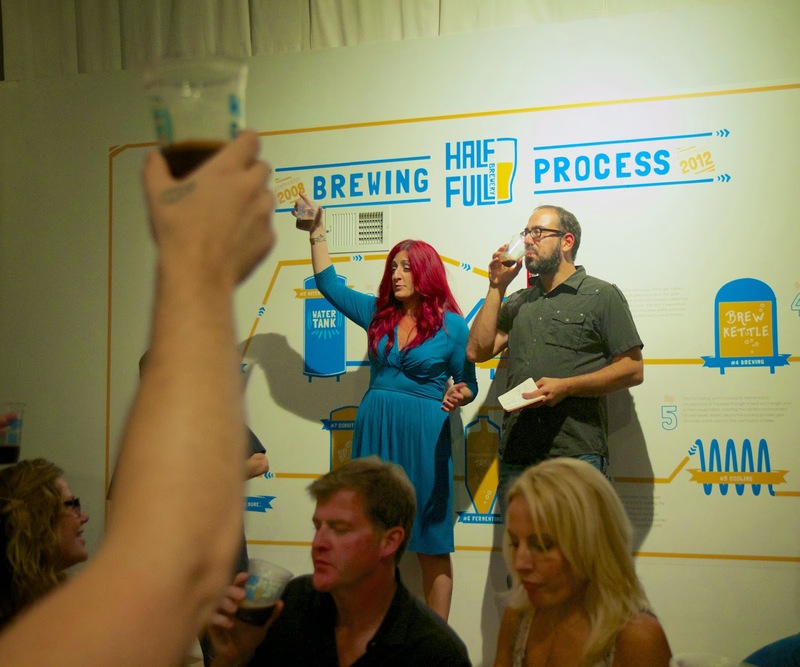 This week a small crowd gathered at the Half Full Brewery for what we think was an extra special rare beer night. There were four beers that night: Altbier, Imperial Bright, Mole Stout and Pineapple Pale Ale. 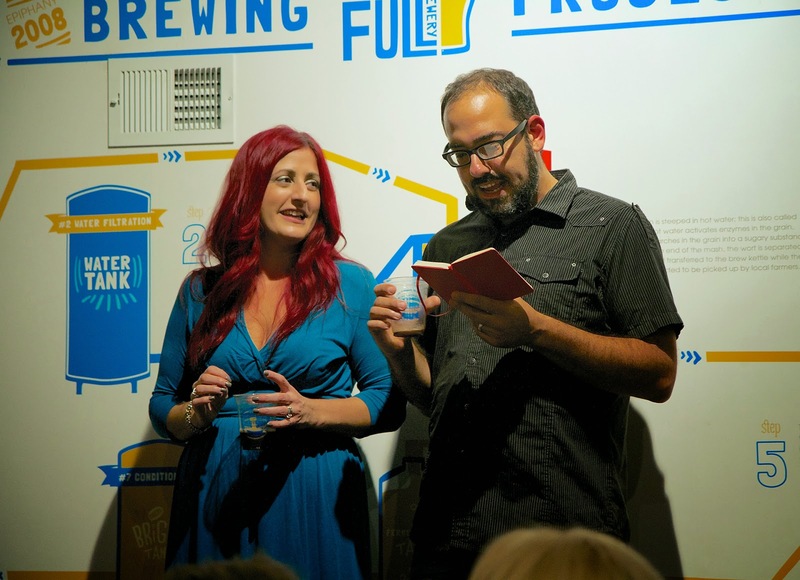 We were there to see what happens when beer-brewing-virgin-food-bloggers try their hand at beer making, under the knowledgeable experience of Headbrewer Jen Muckerman, that is. That's right, our good friends and food bloggers Danny + Kristien of OmNomCT were invited to brew a beer. Their beer was the Mole Stout with an ABV of 5.5% and IBU of 44. Maybe we were a little biased, but the OmNomCT brew worked out pretty darn well. Danny and Kristien said they wanted to do something really different, so using one of their favorite cuisines as inspiration they decided to do a Mole Stout. There were actually two versions, each made with a slightly different spice concentrate. Version #1 used cinnamon sticks, cilantro, black pepper, Anaheim and Dragon Cayenne peppers from their garden, cumin, Aleppo peppers, a Guajillo pepper, and Ancho peppers. Version #2 used more Pasillo peppers, clove, black pepper, cinnamon sticks, espazote, chipotle, and nutmeg. I love that some of the peppers came from Danny + Kristien's patio garden. How cool! Version #2 seemed to be every one's favorite. It had a great smokey, savoriness with a nice heat in the back of your throat. 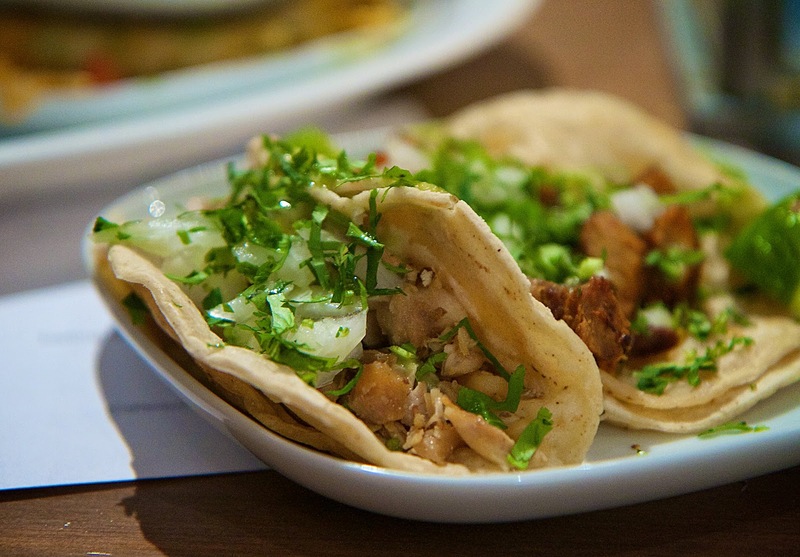 And what goes better with Mexican-food inspired beer, than well, Mexican food? Casa Villa in Stamford served up chips, salsa, guacamole, and a trio of shrimp, chicken, and Al Pastor tacos with all the fixins. Rare beers and tacos ... needless to say Half Full Rare Beer Night was a lot of delicious fun. Check out all the photos from the evening over on our Facebook page. Half Full brews some great beers normally and we definitely recommend checking them out. And we definitely plan to check out another event soon.